Is It Easy to Teach Someone to Drive? My wife has finally decided to learn to drive a car. To get her into the swing of things we went out together to practise the other day and I am not sure which one of us was most nervous. We have a big, cumbersome 4×4, which is a lot different from the little Corsa I learned in. There aren’t lot of flat, paved streets with no traffic around here it seems. Fortunately the local council foolishly started building an Olympic sized arena in our small town a few years back before realising the folly of their ways. This means that once we discovered the place we could practise on the best and most deserted roads in the area in the shadow of a partially complete stadium. It was an eerie experience but not as scary as teaching someone to drive for the first time. 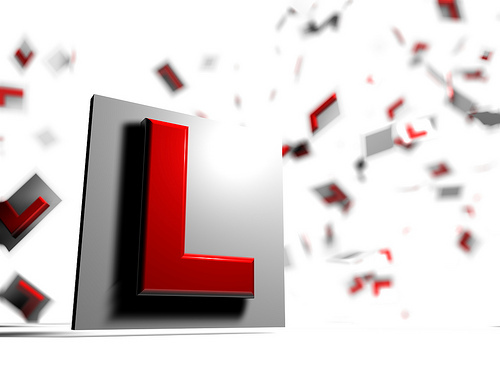 It is so long since I received my own driving lessons that I had forgotten how difficult it is. Add in the fact that so much of driving becomes instinctive after a while and it is clear that I have found a new level of respect for driving instructors. The lady who taught me also taught my sisters and she was brilliant. She would light a cigarette, sit back and just let me get on with it. I don’t remember ever feeling scared about driving during my lessons and that was mainly due to her calming presence beside me. My wife is going to get her first proper lessons from a proper driving instructor today. I think our work at the weekend might have helped her gain some confidence and understand the basics but there is no substitute for getting a professional to sort you out. Would you pass a driving test now? This entry was posted in Musings, News and Views and tagged car, Corsa, LS by Robert Bell. Bookmark the permalink.